Sharing children’s digital work has often proven to be a huge problem for schools, and by this I’m not talking about simply during class time. Products such as reflector, air server and of course an Apple TV already enable pupils to quickly and easily share their work in front of the class so that it can be celebrated and next steps to secure improvements be given. I’m talking about sharing work with a wider audience and for longer periods of time, well after the lesson has finished. How can they show their peers, teachers and indeed parents & carers, the professional looking work that they have created and are understandably proud of, much in the same way that a child’s art, literacy, maths work etc can be placed on to a display board, what is the digital equivalent? Mix that with another common and expensive problem that schools often have, that being digital signage. 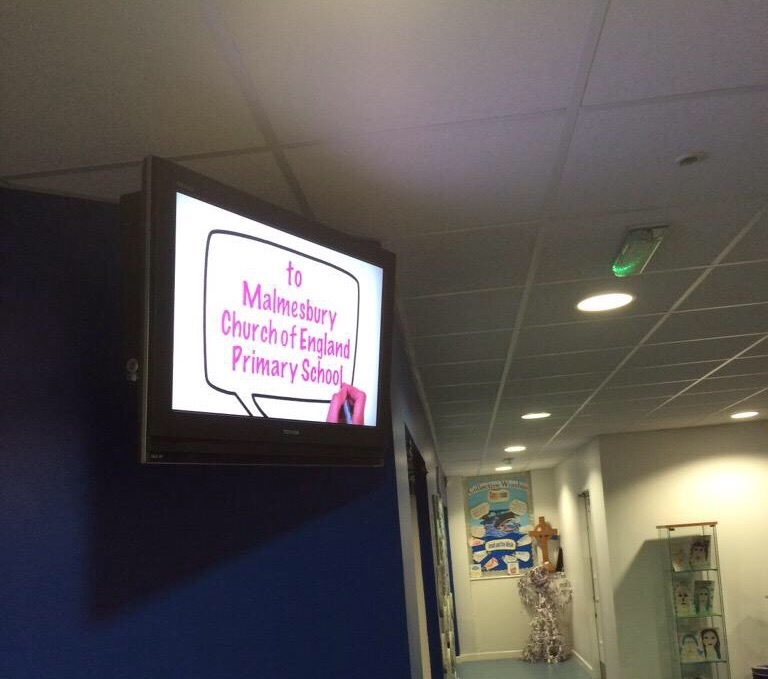 Most schools now have some form of television monitor, either in the reception area or in a communal room intended to share important dates or school media such as photos and videos. The issue is that the software that accompanies digital signage is often created for the corporate environment. As such, not only does it often not look great for school purposes, it’s also incredibly difficult and cumbersome for adults to use, let alone children. Consequently these beautiful looking screens that schools have invested in are either switched off or displaying content that is woefully out of date. The answer comes in a beautifully simplistic and versatile product called Trilby TV. I’m not going to over complicate this any more than I need to. Essentially once a child has finished a piece of work that they’re proud of, they upload it easily from their device to Trilby TV. Once approved, it appears on whichever monitor you send it to. Simple. All the same content can appear on all your monitors or you may have different content displayed on different screens. Check out the Trilby website here https://www.trilbytv.co.uk for further details and information. 1) Signage is suddenly vibrant and reflective of the great practice happening in your school. 2) The responsibility for maintaining your digital signage can be handed to the children, and let’s face it, they always do a far better job of these sorts of things than we teachers do! 3) The entire school community engages far more with the content because it’s relevant. 4) Suddenly your digital signage becomes ‘visible’ again and for children it becomes a realistic aspiration to have their work appearing on it. 5) There is no limit to how creative your signage can suddenly become. Book creator, iMovie, videoscribe…if there’s an app you or your children like, it can be used for your signage. As a company Trilby are incredible, and this is one of several great products that they offer. Ben and Neil are both exceptionally talented individuals, brimming with ideas and an appreciation of the support that schools need. If you are a school wishing to get the most out of your investment in technology then I urge you to check Trilby out. **Updated** one of the updates enables you to privately share films with anyone via a generated link and also embed the children’s digital work easily into your website. This is a great addition! Thank you so very much for such a great blog, really great read and it definitely draws out why we created TrilbyTV and how it can help schools utilise their tech as best as possible. We love doing what we do and creating positive impacts and relationships with schools and yours is certainly a prime example of this! Keep up the fantastic informative and insightful blogs!